Our dental office provides a full range of general dentistry services for Toronto families. We're Your Toronto Family Dentists. 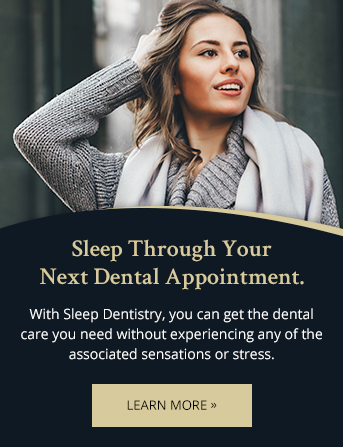 As your primary dental care provider, we are responsible for the diagnosis, prevention, treatment, and management of a wide range of dental conditions that affect the teeth, gums, jaw, and face. We provide coordinated oral health services for patients of all ages, so that everyone in your entire family can visit our practice. Our highly educated and experienced team will develop a plan for the best course of treatment for your unique dental needs. Give us a call to schedule an appointment today! During you twice-yearly check ups at our office, your dentist will perform a full dental examination and oral hygiene cleaning. This check up lets your dentist take inventory of the overall health of your mouth and teeth. During the exam, the dentist will first check your face, neck and inside of your mouth for any abnormalities, such as lumps, bumps or swelling. He will also perform an oral cancer screening and will check your bite and your jaw joint for any problems. Next, your dentist will check your gums and jawbone for signs of gingivitis, gum disease and bone disease. Dental x-rays may be used to examine areas not visible to the naked eye. Finally, the dentist will examine your teeth for cavities and other problems, and will be sure to look specifically at any areas where you have symptoms or concerns. During the cleaning portion of your appointment, your dentist or hygienist will remove plaque or tartar buildup around the gum line. Then, he will use a powerful electric brush and a slightly gritty toothpaste to deep clean your teeth. You will also have an expert flossing session. Cavities are essentially holes in your teeth caused by decay. The main culprits for your cavity are certain types of bacteria in your mouth, which live in the plaque. They interact with the carbohydrates and sugars in your food, creating an acidic environment that dissolves the protective outer enamel of your tooth. Once the acid has eroded the enamel, your dentin is exposed, which will ultimately cause the formation of a cavity. At this point, the decay proceeds more rapidly and spreads deeper into the tooth. A filling is necessary to treat your cavity because if left untreated the decay will eventually grow and will enter into your nerve canal. And yes, this can be as painful as it sounds. It can also lead to more serious problems such as infection, abscess or even tooth loss. All of these issues will result in pain and expensive dental treatments, so it's better to simply get a filling straight away! At Dental Anaesthesia Associates, we use composite filling materials because they can be closely matched to the colour of your teeth, making them almost impossible to see. Composite fillings consist of plastic and glass particles. Inlays and onlays are custom fit fillings made in a laboratory. They are larger in size that standard fillings, and serve specific purposes. A dental inlay fills the space between the cusps (the rounded edges) at the centre of the tooth's surface. An onlay is larger, and covers one or more cusps of the tooth as well. Because they cover so much surface area on the tooth, onlays are also sometimes referred to as partial crowns. Inlays and onlays can be made out of a variety of materials, but these days are most often constructed from porcelain, or tooth coloured composites. No treatment will be effective unless you follow it up with routine and proper home care. This means you should brush and floss regularly after every meal and at a minimum twice a day. The key is not only to do it regularly, but also to do it right. Here's how. To properly floss, wind the floss around both of your index fingers and push it between each of your teeth in your mouth. Make sure to move the floss upwards, downwards and even sideways to remove any food particles or plaque that may be lodged between your teeth or under the gums. Hold the brush at a 45-degree angle to your teeth. Gently rotate the bristles across your teeth and under your gums with a backward and forward motion. Be sure to brush the chewing surfaces and the inside surfaces (facing into your mouth) of your teeth as well. You can also brush your tongue to reduce bad breath.